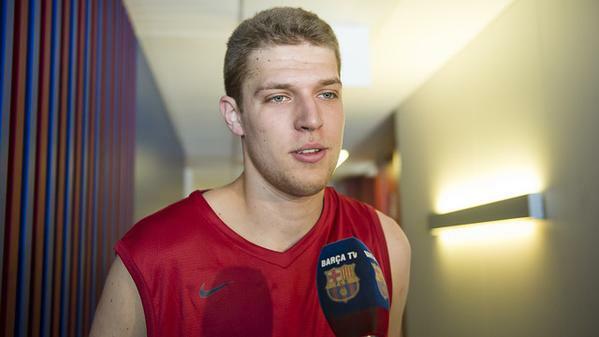 Aleksandar Vezenkov‘s deal with Barcelona was reported a long time ago and now it was time for the official confirmation. The club announced a four year contract with the player which expires in the summer of 2019. The MVP of the Greek league who withdraw his name from the draft, Vezenkov has included NBA buy outs in his contract which according to reports are near one million euros, while his former team, Aris BC, got a 315.000 euros buy out. Vezenkov is considered to be the best player of Bulgaria and also probably the best player of his age in Europe. Both in 1995, he has room to improve his already impressive game.